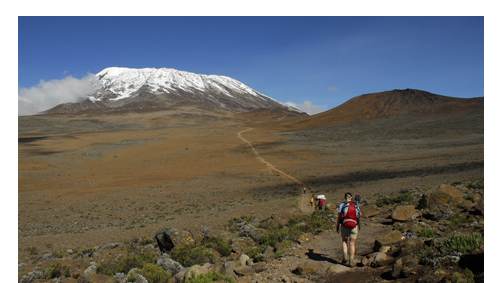 Kilimanjaro climbing can be done by anyone who is physically fit. It is a free-standing mountain that can be accessed through different routes. 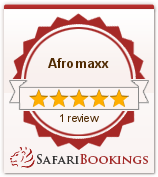 Afromaxx will be your best partner if you are planning to conquer the Mount Kilimanjaro. Here is a brief information on what you should consider putting on your packing list. Most Kilimanjaro Routes (Lemosho, Machame, Umbwe and Rongai) you will be sleeping in campsite tents during your mountain climb. Unlike the Marangu Route provides simple huts to overnight. Afromaxx Tours as we are Mountaineering experts, on this article we have gathered for you some of the information for your climb. Mount Kilimanjaro can be accessed all year around. Although weather can range from warm and tropical at the base of the mountain to freezing on the summit. However, we advise you not to climb during the heavy rainy season from April to May because of hard weather conditions. The best time for your climb is in January, February, June, July, August, September and October. It is advisable that before you attempt the journey, you must be prepared. Packing for such an adventure can be an overwhelming task if you don’t know what gear is needed to survive. If you are wondering how should you even pack for something like this? We are here to assist you know how. First you should be aware that trekking on Mount Kilimanjaro climb leads you through five climates and vegetation zones in just a few days. Therefore, we advise you to be ready with lots of layers and some rain gears like poncho, Gaiters and proper trekking boots before departure on a change to Mount Kilimanjaro. We suggest that you test your items particularly clothing to make sure that you can be comfortable with your equipment. We are happy to share our equipment list with you while prepares you Kilimanjaro Trekking. Good choice of a proper clothes will boost your day by day trekking routines. So remember not to pack cotton clothes because it does not dry on high altitudes and can scratch your skin. The following are the best choice of clothes you should consider. Two moisture Underwear. As you approach the upper reaches of the mountain you will need to wear a lightweight base layer or next-to-skin layer over your underwear. You will not need to wear this layer for the first few days on the mountain unless it is very cold. On summit night this is uncertainly the most important layer as it is the one that comes in contact with your skin. For the ladies bring two pairs of sports bras, we recommendIcebreaker sports bras Icebreaker or Smartwool Lightweight Base Layers are excellent both for ladies and men. Alternatively, any sporting brand underwear will work for you for example Adidas. You can find this wear from online Amazon Stores or any other online stores of your choice. Sun hat with brim or bandana. Trekking footwear you take on the mountain is very important and the best way to break boots in are to wear them as often as possible before your hiking date. During that time, you should undertake two or three long distance treks for about four to five hours a day in your boots. Also, we highly recommend using trekking poles as an essential hiking accessory on Kilimanjaro Mountain, as they offer better balance on trails and reduce stress on joints during ascents and descents; The best way to reduce the impact of long-distance trekking on your knees and joints is by using trekking poles can help reducing the impact on your knees. The best choice is Asolo Power Matic, Solomon Quest or Hi-Tec Altitude IV; you can find this items on Amazon or other online Stores. Of course we provide all the other Kilimanjaro Trekking gears like the Sleeping Tents, Mess Tent, Kitchen Tent, Cookers, Utensils as well as Filtered treated drinking water. With our unmatched provision of services from our English speaking certified Mountain Guides, Mountain Porters, as well as professional Cook. However we have some trekking gears for hire, should require to hire any gear please indicated it on your booking request to get a quote included on your climbing packages. We understand that getting the best price is great, but getting the best value is even better. We are indigenous Destination Management Company with best knowledge of the wildlife, environment, and culture and we are always attention to details. Our local offices are in Tanzania (Kilimanjaro) and Uganda (Entebbe) to make sure we provide you with personalized support and services you may expect even beyond your expectations.